Using AC variable speed drives to save money by reducing motor power consumption is a matter of fact. Furthermore, offering a range of inverters with dual output and duty rated means users of Jaguar VXG drives can further increase savings by reducing the cost and size of the drive. When applying a variable speed drive to a motor application, users also need to consider the torque requirement of the load. Torque is the measure of the turning force of an object about an axis. The price of an inverter is directly related to its rated power output and duty cycle. This stands to reason because the lighter the duty cycle the less stress there is on the inverter. 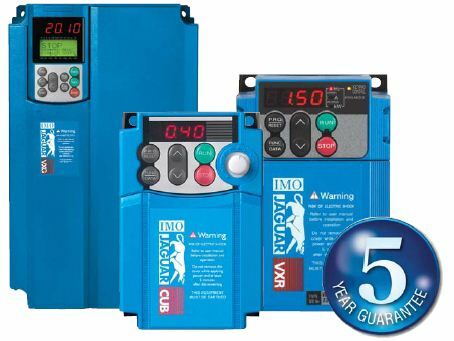 Variable speed drive applications broadly conform to one of three categories according to their torque and power capabilities. It is important to select the correct drive for the application. Typically fluid applications, including centrifugal fans, pumps and blowers, turbine pumps, agitators, and axial compressors. Manufacturers sometimes refer to these as fan and pump drives. Moreover, variable torque applications offer the greatest power deductions with 50% in energy savings. Most general machinery applications will fall into this category. It includes conveyors; displacement pumps; hoists; printing presses; reciprocating and rotary compressors, and others. They offer improved control but may provide only limited potential for energy saving. These include machine tool applications such as CNC machining centre, lathes, grinders; drilling machines and borers etc. For constant power applications variable speed drives simplify and improve control, as well as providing better surface finishing. However, they provide minimal energy savings. The price of an AC inverter relates directly to its rated power output and duty cycle. By offering dual duty cycles, the Jaguar VXG offers users the chance to make significant additional cost savings. This is because it is often possible to select a smaller frame sized there may be savings in cabinet size and conductor rating. The Jaguar VXG is available for 400V 3ph 50/60Hz application and power up to 630 kW constant torque, or 750kW variable torque duty. Finally, all users of Jaguar drives benefit from a five year warranty.